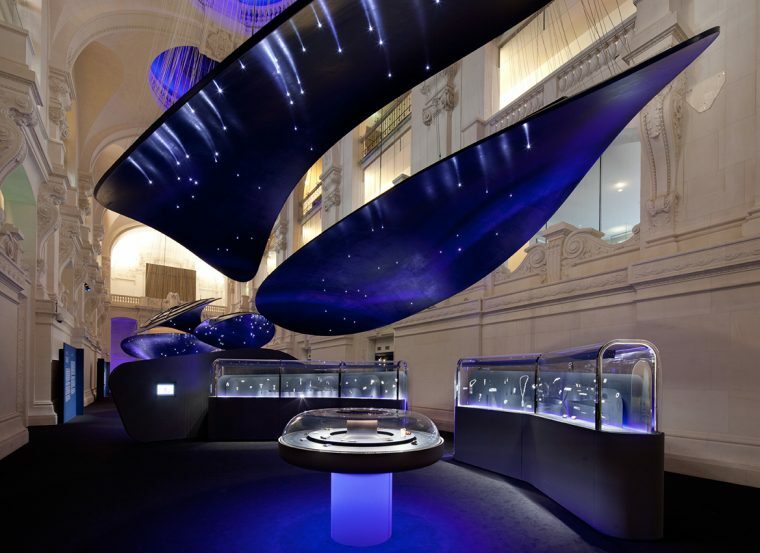 After 10 years of closure, the Mineralogy and Geology Gallery of the National Museum of Natural History reopened in 2014 with a much-noticed exhibition. Its collection is one of the biggest in the world, regarding its volume as well as its historical and scientific value. Our team mounted and installed more than 650 minerals, among them 18 giant minerals, two of them weighing more than 4000 pounds. The Arab World Institute host several temporary exhibitions a year, and we are delighted to be one of their main partners. 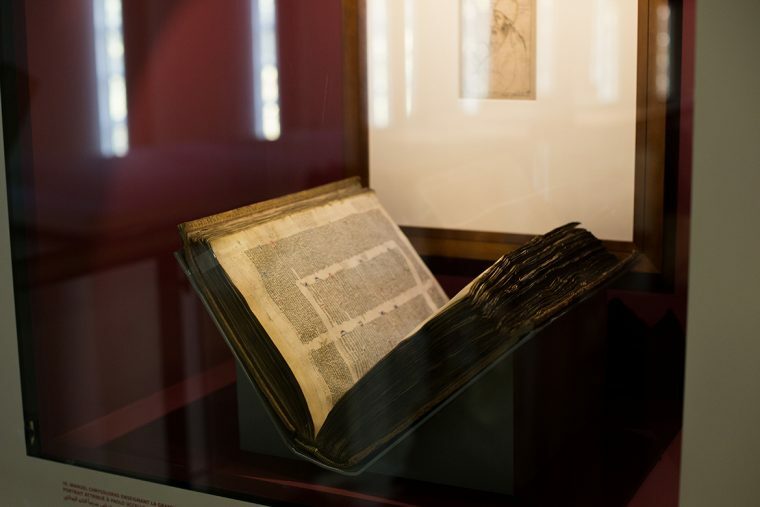 In 2013 our team fabricated the mounts and lecterns and installed parchments and manuscripts from prestigious libraries. No matter the size of the exhibitions we work for or the objects we handle, we always care beyond the ordinary. For the objects. For our clients. 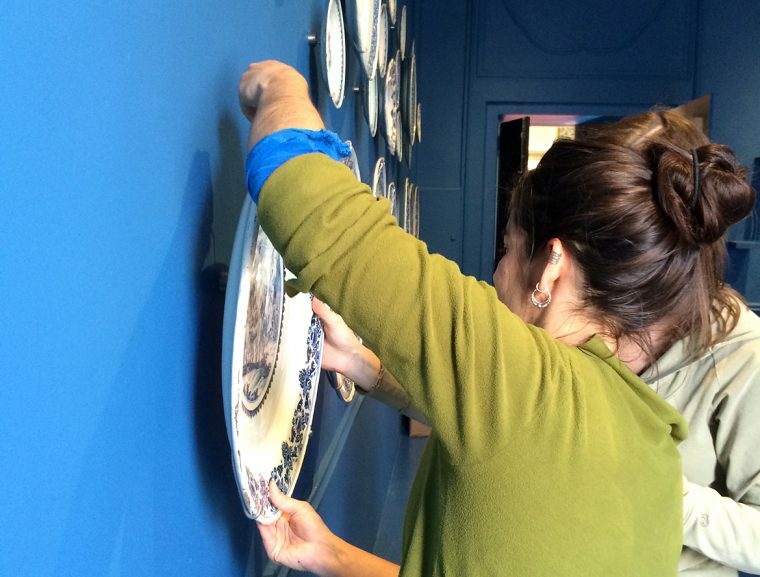 For the reopening of the Musée de l’Homme in 2015, our team made and installed the mounts for around 1000 objects. 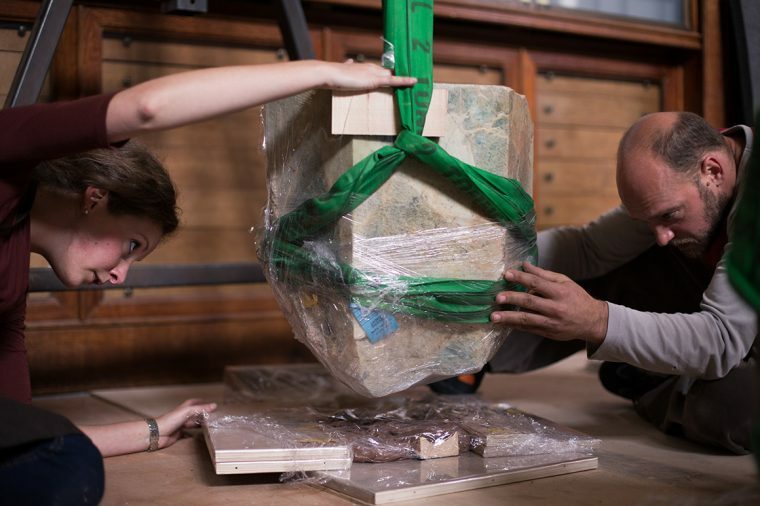 The mounts were designed so the museum staff could easily remove and reinstall them. We handled a wide diversity of objects, mainly prehistoric and ethnological ones. 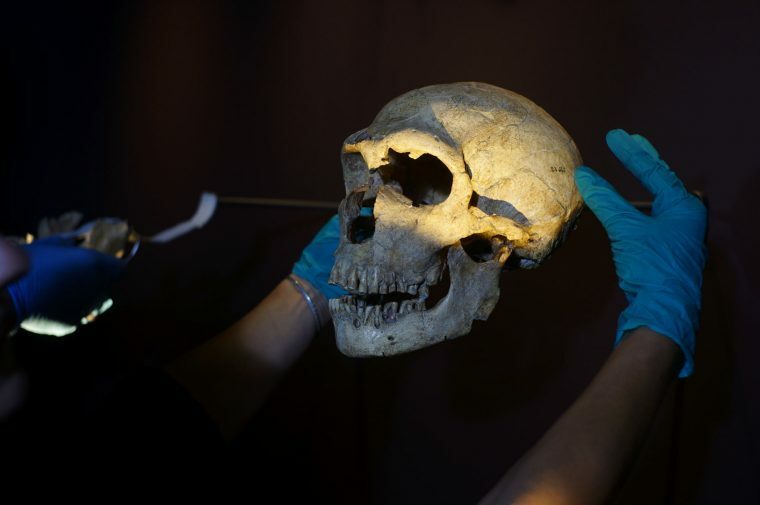 Among them, around 20 human and animal skulls, 3 skeletons and a variety of bones. Aïnu also made a large contribution to the scenography of the permanent and temporary exhibitions. The MIM Museum is a privately owned museum located in Beirut, Lebanon. 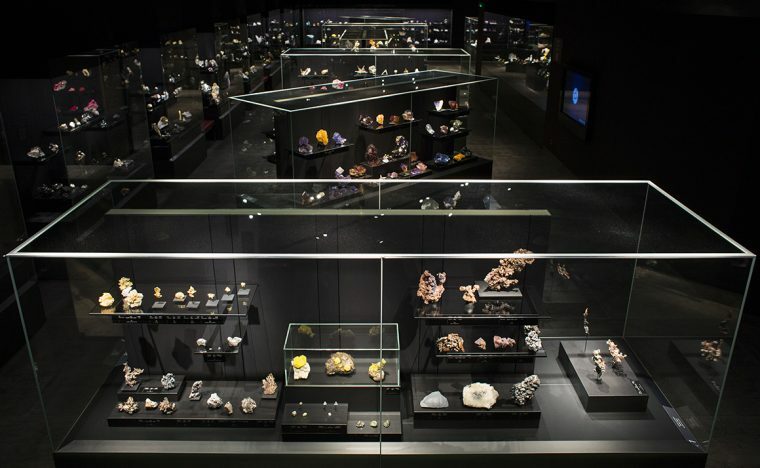 Its collection is one of the biggest and most diverse in the World, with more than 1500 minerals from 300 different species. Starting in 2011, our team worked hand in hand with the director and the curator of the museum on designing the exhibition, the preventive conservation of the minerals and the fabrication of the mounts. 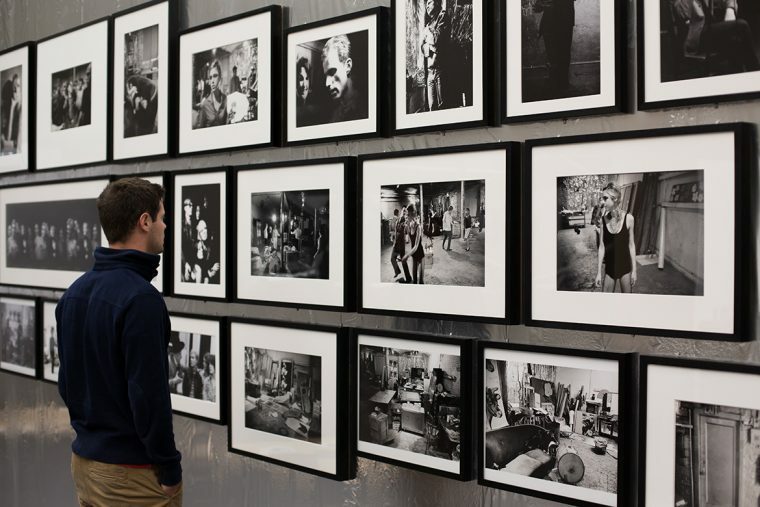 In 2015 our team installed, uninstalled, fabricated mounts and framed more than 100 objects for the unprecedented re-reading of the work of the high priest of pop art, Andy Warhol. With 5 days spent on site, our team realized 6 lecterns, 12 encasements and matted and framed 136 objects. The materials we use for this type of work always respect all the preventive conservation norms and recommendations. The Centre Pompidou of Metz entrusted us for many of its exhibitions and is one our primary partner. Our team realized the mountmaking, framing and installation for “Leiris &Co.” in 2015, an exhibition at the crossroads of art, literature and ethnography. 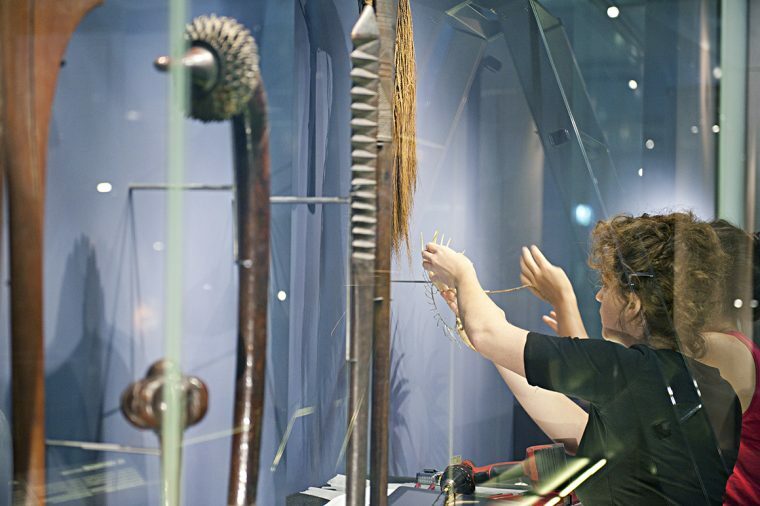 The 350 objects consisted of African and Caribbean artefacts and works of art and a wide array of manuscripts and books. 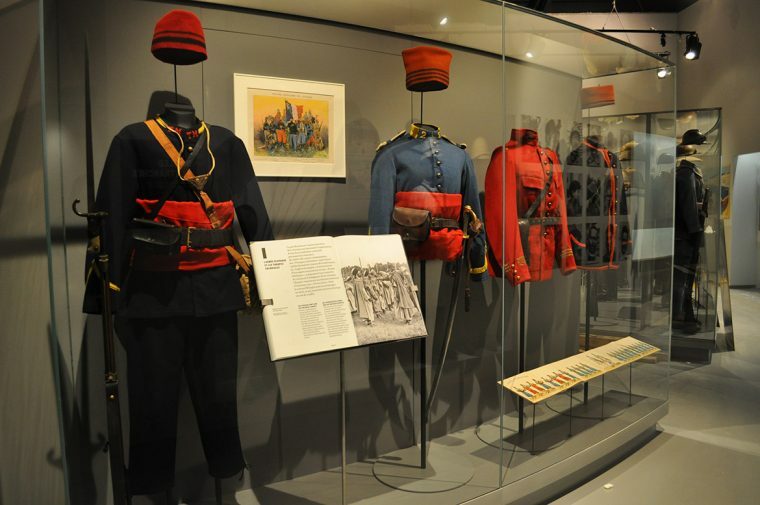 For the reopening of the Musée de l’Homme in 2015, our team fabricated and installed the mounts for about 1000 objects. 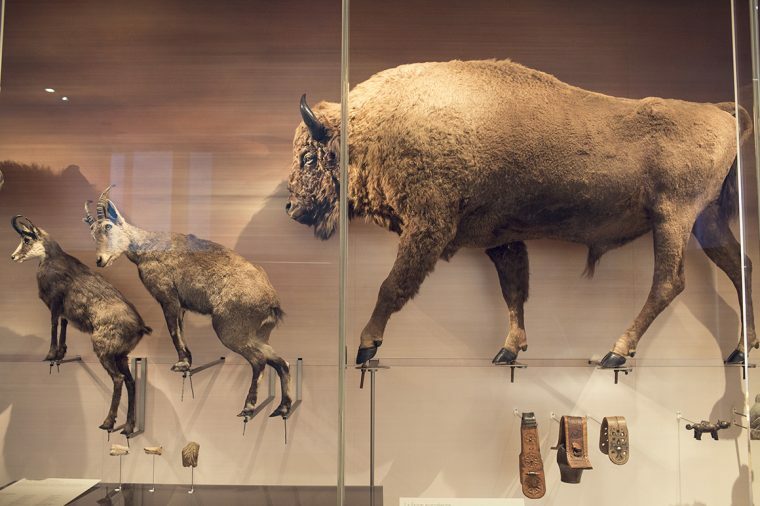 The mounts were designed so the museum staff could easily remove and reinstall them. We handled a wide diversity of objects,mainly prehistoric and ethnological ones. 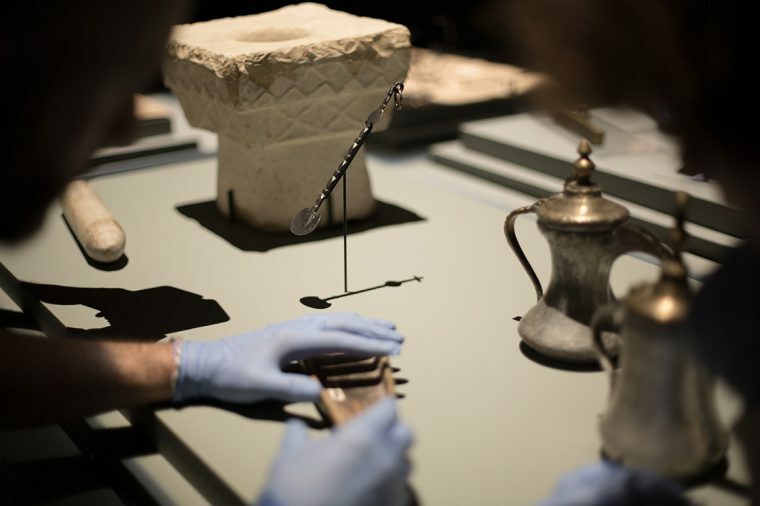 Among them, precious archaeological objects and very commonly used ones. 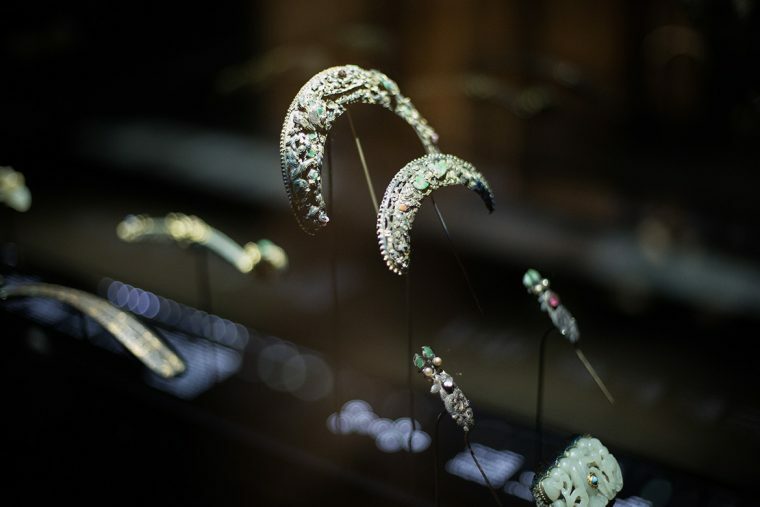 For the installation of the permanent collection of the Geneva Museum of Ethnography in 2014, our team designed, fabricated and installed mounts for more than 1300 objects, ranging from the smallest jewels to 11 feet long totems. We spent 6 months on site, bringing with us our mobile workshop, able to employ up to 20 technicians. Our team showed commitment and solidarity throughout the duration of the work with the different teams from the museum and those in charge of other lots, in the interest of a smooth-running and efficient project. 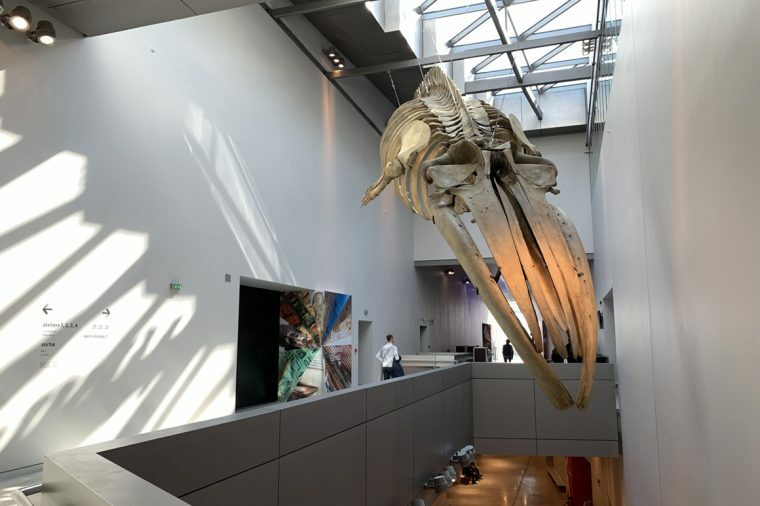 In 2014, our team worked for the opening of the Musée des Confluences in Lyon, where we installed our mobile workshop. 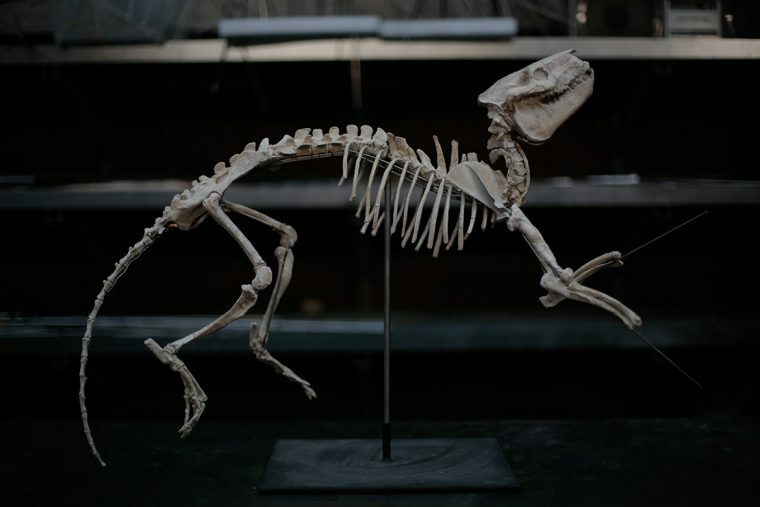 Prehistorical animal’s skeletons where among the objects we mounted. To name a few: a mammoth, a tigre, a megaloceros and a mericoidodon. When fabricating a mount for cumbersome pieces like a mammoth, our team works hand in hand with a structural engineering consulting firm. Van Cleef and Arpel is one of our historical clients and we are very grateful to be entrusted by them. In 2012 and 2013, the Musée des Arts Décoratifs hosted and exhibition showing more than 500 pieces of the great Maison. 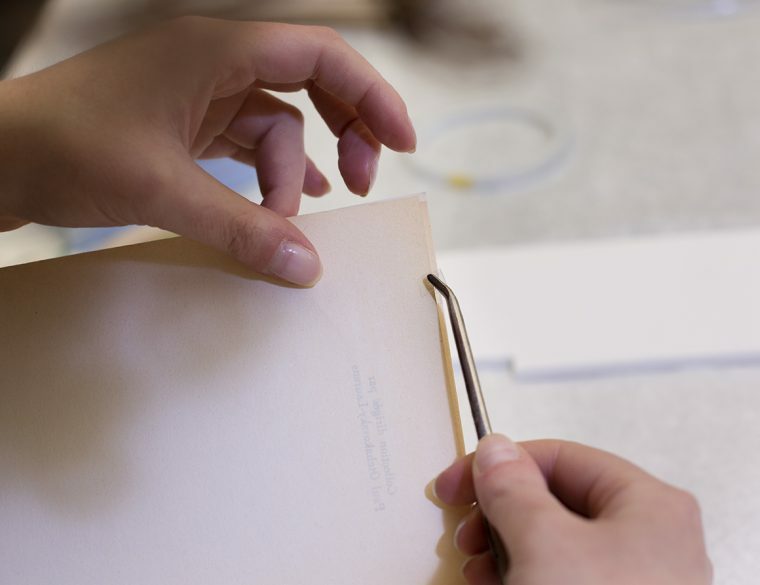 Our jewelry mount-making practice is the fruit of the total mastery of our craft and of the experience of several members of our team, specialized in silversmithing, stone setting and jewelry. For their historical Via Condotti Boutique, Bulgari commissioned us for the presentation of their jewels. Our team completely designed, fabricated and installed all the mounts in the Boutique in 2014. We constantly seek to improve our practice of mount making for jewelry and innovation is our key word. The materials that we use are chosen for their aesthetic qualities, for their durability and for their security. Our team mounted a very wide variety of objects. We believe there is a solution to be found and a mount fabricated for every one of them. The first time we had to realize mounts for war weapons was for the Musée des Invalides in Paris. Since then we worked with many war museums, including the beautiful one of Meaux. Their collection included a large amount of uniforms and we realized more than 100 mannequins to display them. To be able to answer the needs of the museography, creativity was essential to our work. And at Aïnu, inc we love when our clients tickle our creativity. This major event brought together more than 700 works of art by 150 artists, artisans, designers, fashion designers and graphic designers in almost all of the museum’s temporary exhibition spaces. It highlights the extraordinary panorama of contemporary Korean fashion, with more than 120 silhouettes and accessories. 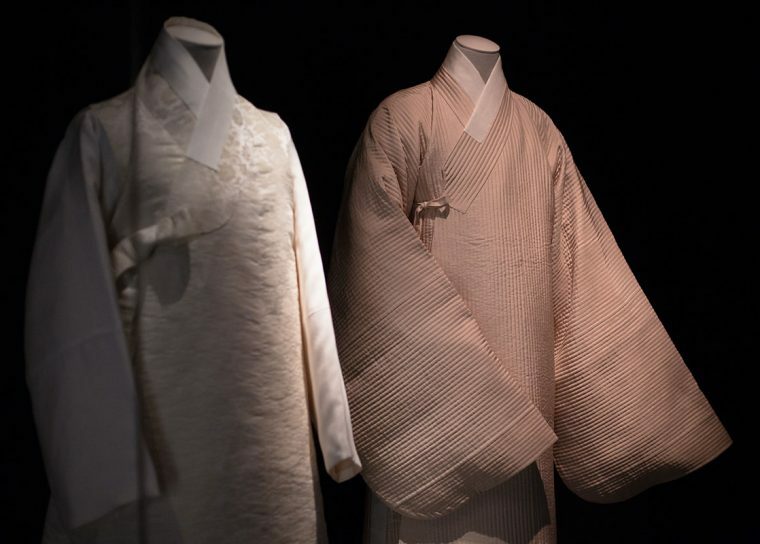 For the needs of the exhibition, Aïnu designed and fabricated creative and invisible mounts and mannequins to display unique pieces, mainly kimonos. 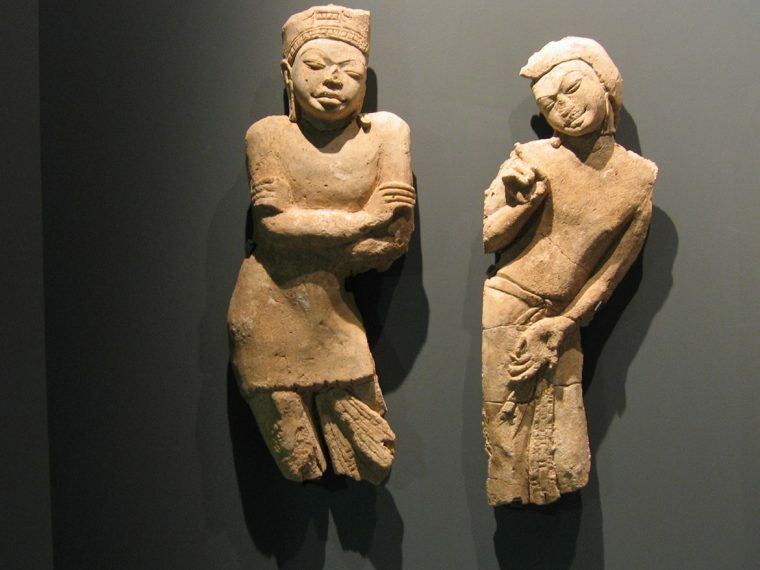 In 2009, the Musée Guimet displayed more 130 objects for this major exhibition, mainly stone and bronze sculptures. Aïnu, inc has the equipment and expertise for handling heavy or cumbersome works and we often perform mountmaking, lifting and installation operations for this kind of objects. When needed, we work hand in hand with with a structural engineering consulting firm, helping us validating our structures. Porcelaine and Earthenware are central pieces of the museum’s collection. 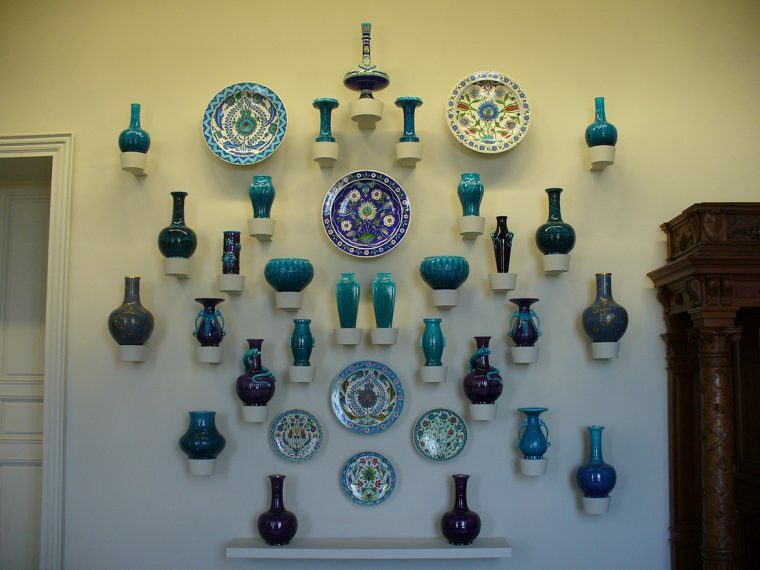 Over the years, our team worked with the biggest ceramics museum in France and our expertise in dishes and ornament mountmaking is established. Our mounts are always made for total discretion and we take pride in being the invisible link between the visitor and the object. Safety is our second mantra and our mounts are built so the objects are safely displayed, even in seismic areas. Moustiers Sainte-Marie is famous worldwide for its earthenware. The dedicated museum has been renovated in 2014, with the addition of an extension and a completely new museography. 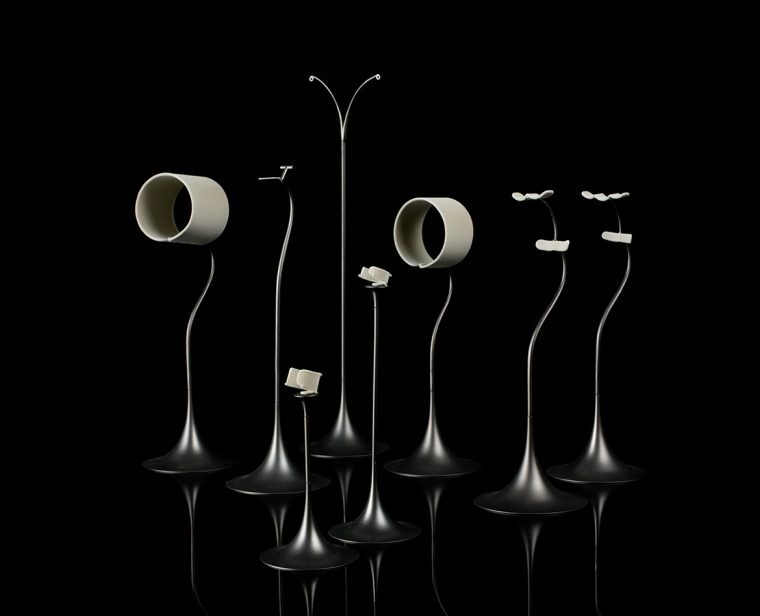 Our team was in charge of the moutmaking and installation of more than 200 objects. Our mounts are always made for total discretion and we take pride in being the invisible link between the visitor and the object. Safety is our second mantra and our mounts are built so the objects are safely displayed, even in seismic areas.